Step aboard to destination gold in this Gold Train from Pragmatic Play. Enjoy a train ride with plenty of entertaining features, scenic graphics and some chances to win big along the way. Take a step back in time to where the humble locomotive began. View UK slots online here today on Wizard. Pragmatic Play focus on creating the best games for its players and are known for their engaging and exciting games. With over 80 slot games under their belt such as Queen of Gold and 8 Dragons, they are a respected name within the slot gaming industry. Innovation and dedication is behind them every step of the way as they constantly create new games, each one better than the last. They do this by detailed research, extensive development and having the right people. They are a developer who really know their stuff so you can enjoy what they create, by playing more games by them here on WS. This a 3 reel, 3 payline game, with the opportunity to bet between 0.03 and 15 coins. It is an ideal game for beginners looking to get onboard. It also is different in that you can win from just two matching symbols, whereas most slot game rewards don’t start until 3 symbols match. Here's a guide to the best UK slot online games from different categories. With no soundtrack as such, the sounds of the game are very typical of your arcade game. When you win, you will hear the familiar choo-choo of the train, which will remind you overall of the game’s theme. The first US Locomotive in America began its journey in 1830 and the game’s symbols and design all harken back to 19th century America. The three wooden boards with BAR is one of the lower paying symbols of the game, with the golden bells and the conductor hat symbolising big wins. Earn between 150 coins and 240 coins when you land three in a row. 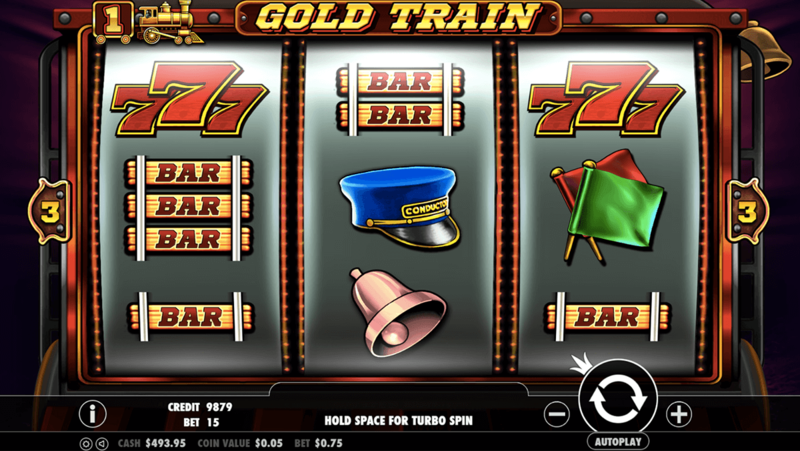 · WILD – represented by the steaming gold train, this will replace all other symbols in the game and if you score three of these in a row, can win big with 5000 coins. It is hard to miss. · SCATTER – this is the silver ticket, and 3 of these in row will take you to the Progressive Bonus station. · PROGESSIVE BONUS – this is a round that links to scoring three or more upgrade tickets during the game. 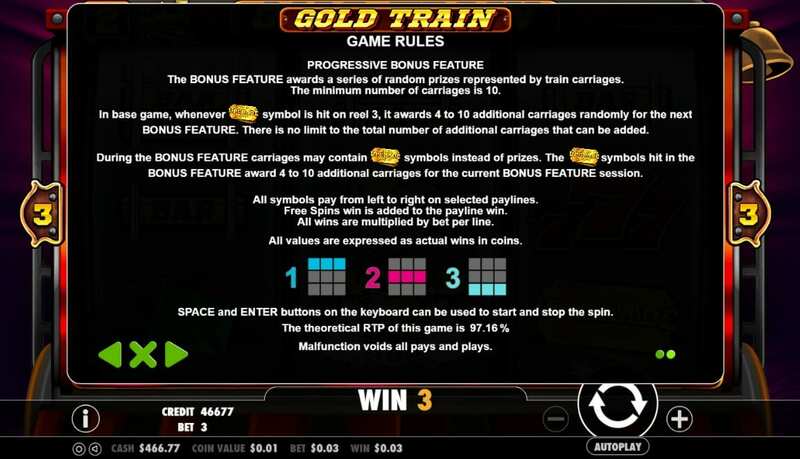 Each win will add a carriage to the bonus round, meaning when the train chugs across the screen in the bonus round, you have more carriages awarding payouts.